Thailand is once again faced with internal political turmoil and an unpredictable political future. Since the junta government came to power with the 2014 coup, stability has somewhat prevailed in the country, but the government has yet to resolve Thailand’s decade-long political conflict. Since the beginning of the year, students have taken to the streets of Bangkok and other big cities across the country, demanding the holding of the long-awaited elections. Last month, some hundred persons assembled at the Democracy Monument next to Bangkok’s famous street Khao San Road, visited by millions of tourists and foreign backpackers every year. This has raised concerns among foreign and Vietnamese tourists planning their trip to Thailand during the famous water festival this April. The Thai government, however, is confident that it can maintain peace and safety of both local and foreign tourists during the popular water festival. 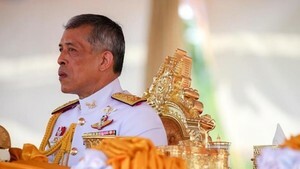 General Prawit Wongsuwan, deputy prime minister, responsible for security has reassured the country that the government has taken serious measures and instructed the local authority to closely monitor any illegal activities, including crackdowns on foreign mafia groups in Thailand’s top destinations, such as Phuket, Koh Phangan and Pattaya. In the past, General Prawit Wongsuwan had successfully led ASEAN in working cooperatively against transnational crime, terrorism, drug trafficking, human trafficking and foreign mafia gangs.